Noninvasive and nonsurgical, Clear + Brilliant is the latest in laser technology and is wonderful for those with superficial lines around your mouth and eyes, fine lines on your cheeks, brown spots and rough skin texture. 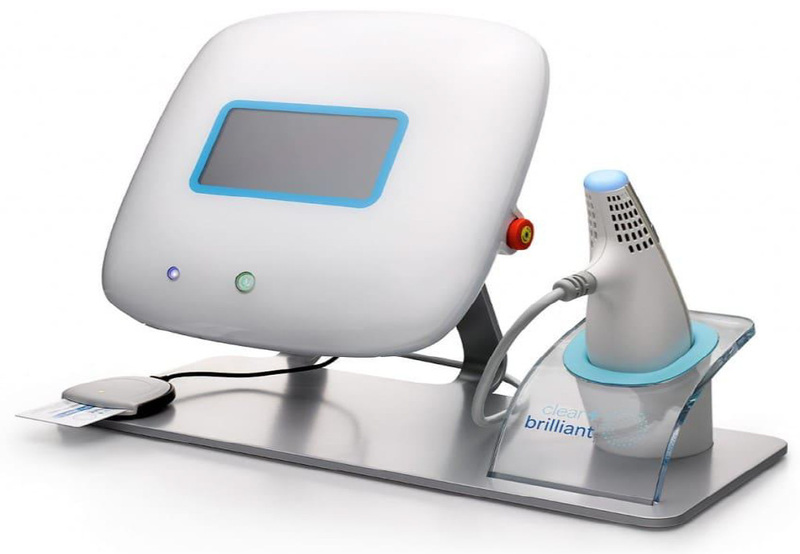 Clear + Brilliant is a gentle laser technology created to combat the early signs of facial aging. A handheld device is rolled onto the skin, producing micro-injuries that sets in motion the production of collagen. In many clinical trials, users reported a visible improvement in texture, skin tone, and transparency after four to six 20-minute treatments. Clear + Brilliant is proposed mainly for those considering to make minor improvements, not dramatic adjustments. In understanding how the CLEAR + BRILLIANT LASER works, the laser operates by generating millions of microscopic treatment zones in the upper layers of your skin, restoring broken skin with healthy tissue, creating the younger looking skin you’re looking for! This treatment takes about 30 minutes from start to finish and about 4-6 treatments are recommended to see visible improvement. Together with our staff, we can provide a personalized treatment and regimen, specifically for your skin.